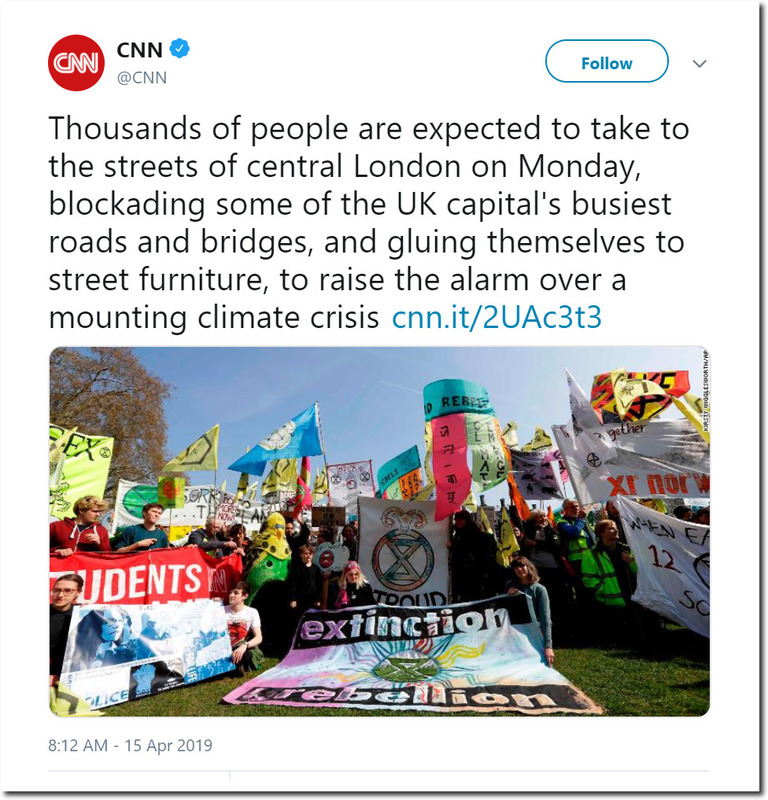 Terrorists in London are shutting the city down in order to protest a mounting climate crisis. It isn’t clear if they are protesting the Siberian climate, due to arrive in eight months – or the permanent drought of the last seven years. 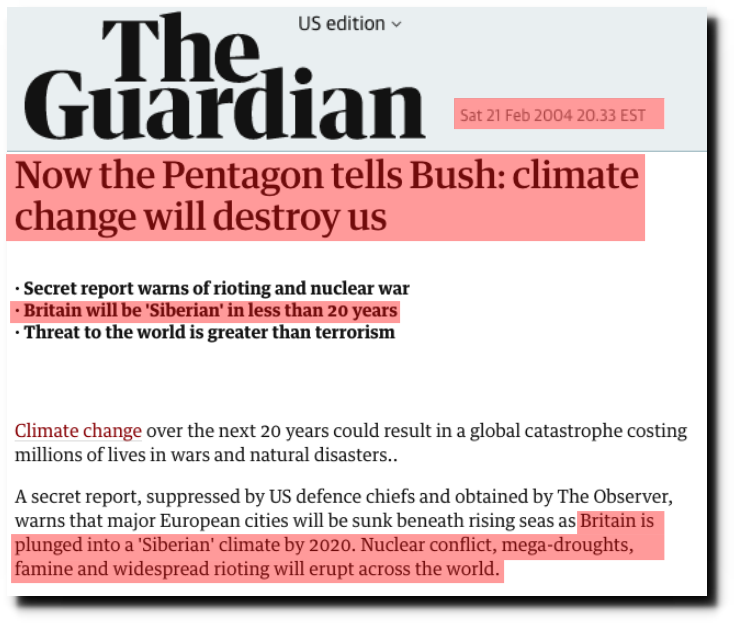 They also might be protesting the end of snow 20 years ago, or the snow which is now caused by global warming. 17 Responses to Which Climate Crisis Are They Protesting? That”s called cultural enrichment and is considered something good. But will he DO anything about it? Perhaps they are afraid of the AMO switching to negative? Street furniture? Do they mean those old chairs people use to save the street parking spot they dug the snow out of ? This term usually means things like street lights, sign posts, roadside cabinets, and so on. I figured it would be something like that but couldn’t resist the humorous link to snowy weather for anyone that lives somewhere that ‘dibs’ is practiced. These are the finest Moonbat believers. The socialist slave are going to be stuck out on a limb (or anything else they can glue themselves to) in London. Yep! Glued in place in the knifing capital of the world. 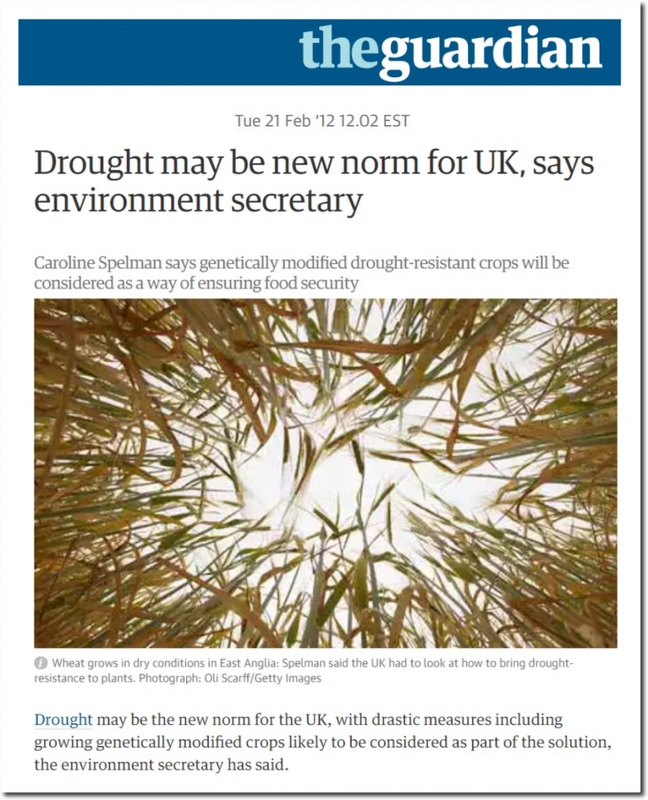 It is particularly absurd when climate alarmists talk about droughts. After all, their argument why there will not only be a slight warming due to the increase in CO2 is that there will be more water vapor in the air when temperatures are slightly higher and that this water vapor will be responsible for most of the temperature increase. So far, there has not been any clear evidence that this has happened, but at least there are some theoretical arguments that there might be more water vapor and more precipitation (presumably, this would be an overall positive development for dry areas). In contrast, the idea that there will be more droughts not only is not supported by evidence, but it completely contravenes the theory of climate alarmists about why the slight increase in CO2 might be dangerous (because of more water vapor in the air, which would almost certainly mean also more rain). A cooling Earth is a drying Earth. In Australia due to its relative flatness and position between the Pacific and Indian oceans, the cooling is leading to less rain fall across the vast interior which when combined with an absence of clouds results in baking hot interior temperatures through summer that eventually drift across the continent, driven by winds, to the coasts where most people live. 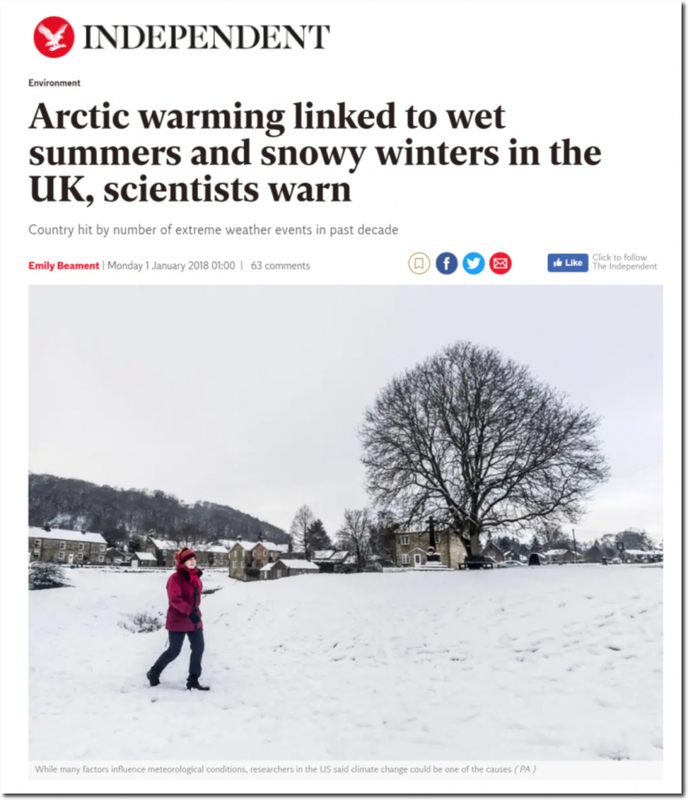 The media here are of course all to eager to report this as global warming where in fact it is ironically the complete opposite. To describe most of these people as ‘terrorists’ is OTT. They are simply naive miseducated protestors with too much time on their hands. Blocking bridges is terrorism. Lock them up. 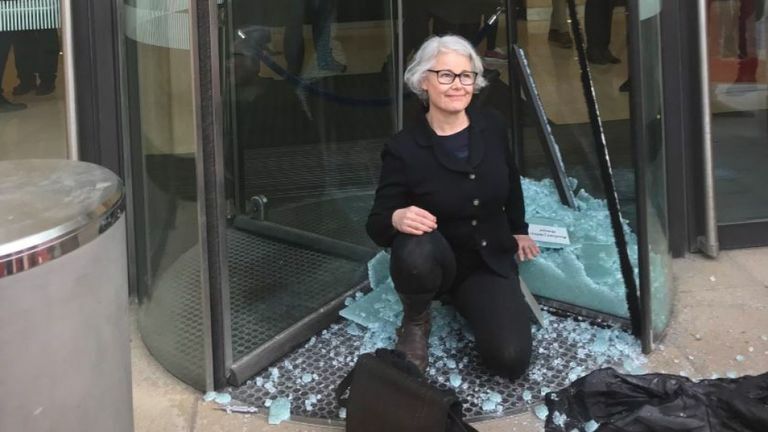 These “naive miseducated protestors with too much time on their hands” are using violence and destruction to frighten their opponents and achieve political goals.